A Missouri statute that goes into effect Jan. 1 ensures that students there will be fed directly into the school-to-prison pipeline. The new rules state that fights between students either on school buses or on school campuses will no longer be treated as a minor offense or misdemeanor. Instead, the student or students will be charged with a felony and arrested, regardless of their age or grade level. Yes, a kindergarten student who gets mad because he can’t use his favorite crayon and does what any 5-year-old would do in that situation—push his classmate to get said crayon—could be arrested and charged with a felony. The statute states that “a person commits the offense of assault in the third degree if he or she knowingly causes physical injury to another person.” According to the statute, the offense of assault in the third degree is a class E felony, unless the victim of such an assault is a special victim, in which case it is will be classified as a class D felony. A class E felony is punishable by up to four years in prison, while a class D is punishable by up to seven years. What the state of Missouri has done is ensure that students as young as 5 could be introduced to our criminal-justice system, a stigma that will follow them for the rest of their lives. Students of color are disproportionately affected by such laws, and Missouri is noted for suspending over 14 percent (pdf) of black elementary school students and having the widest black-white discipline gap, with 12.5 more black elementary students than white students suspended every year per 100 students. 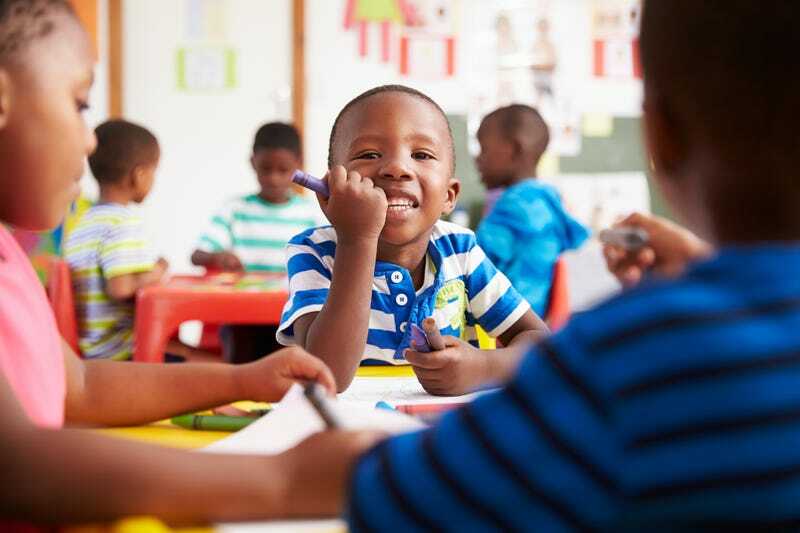 Black elementary school students in Missouri are also suspended at a higher rate than the state’s white secondary school students. This statute clears the way for children to be criminalized and fed into the school-to-prison pipeline at an age when they may not even understand the consequences of their actions. Something as small as an argument over crayons should not be able to criminalize a child forever. When school districts are already known for relying heavily on suspension as a means of discipline, and a state makes it easier for unreasonable punishments to be doled out, who will protect our children?